Thunder and lightning is one of nature’s finest shows. Lightning is mesmerising – almost hypnotic as it flashes across the sky – and the thunderstorm that accompanies it provides a classical booming soundtrack. Being out in a lightning storm can be an exhilarating experience, and one which can also feel somehow safe – almost like a rollercoaster ride. This however is a dangerous and potentially deadly view. A single lightning bolt can produce between 1 – 10 billion joules of energy and can heat the surrounding air to a temperature of over 20,000 degrees Celsius. That is an insane amount of energy being released by a single strike of lightning. 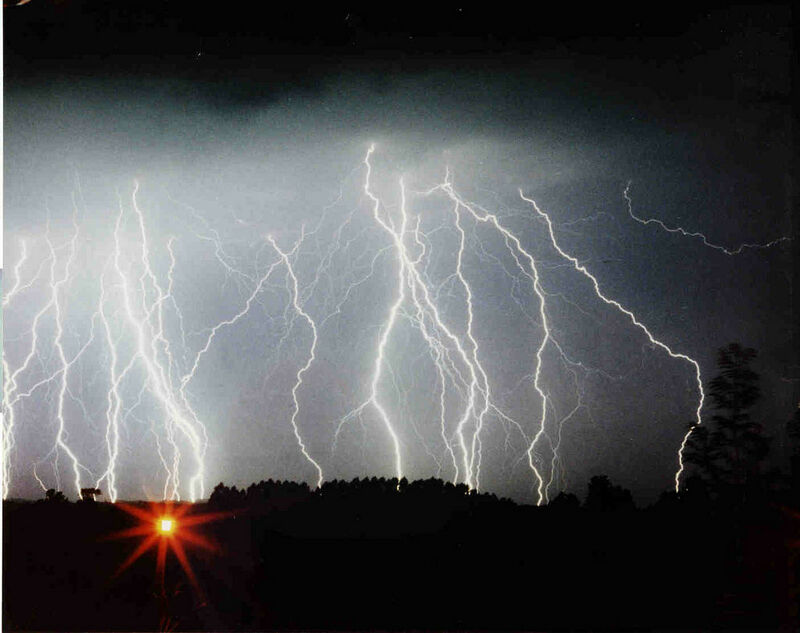 In fact it is thought that a single lightning bolt has an equivalent energy output as a ton of TNT. Of course this doesn’t take into account the energy released by the thunder which accompanies a lightning storm.